Video is now perhaps the most valuable content marketing strategy. Video viewing requires minimal effort from users, and when done well, video can convey important information in a new format that increases conversions on your site. Studies have shown that visitors are up to 85% more likely to purchase after viewing video content on a website. Creating unique video content requires extensive time and resources, meaning a successful video marketing strategy is not easily within reach of every business. Given the value of this content, however, it is becoming ever more essential for businesses to invest the resources into developing their own content. If your message is impactful, informative, and easy to absorb, it will bring you results. Making videos for the sake of making videos will do little to increase conversions or site experience. The type of video content and its location on a website are related, and both are dependent on where a visitor is in the sales funnel. This post will cover the intersecting factors to be considered in developing a new video marketing strategy, with real-life examples from businesses who are doing it right. Before we examine the stages of the sales funnel, let’s explore the options for video hosting, as this is often an overlooked element of crafting a video marketing strategy. For those new to video marketing, YouTube may seem to be the obvious and only way of hosting and sharing videos online. But third-party video hosting services and self-hosting videos on your site are also possible. While more complicated and costly, they are the only options if you are creating video for SEO. YouTube and similar sites like Vimeo certainly have their place in a video marketing strategy. Since YouTube essentially functions as the video-only search engine of Google, the videos hosted there will get a ton of exposure and will more easily show up in Google search results. But, if your video is hosted there and a different site embeds it, the information is on YouTube and not on your site. To counter this, include the text of the video as a blog post or informational page on your website. This is especially important when the video is posted to YouTube but is good practices regardless of where the video content lives. Third-party or self-hosting allows greater flexibility in how video is displayed while also providing your site with all the SEO benefits of having original video content. It also makes it more likely that viewers will convert into leads or customers since they are already on your site. Many businesses leverage both of these options, uploading some content to YouTube but offering exclusive or expanded content on their site. 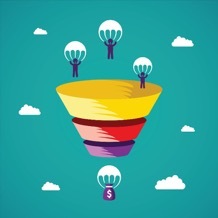 As we go through the stages of the sales funnel, we will discuss what kind of content to create for each stage, as well as where and how to share it to maximize its effectiveness. Perhaps the most challenging decision to make is what type of content to share with your audience. The content you create depends on where your customers are in the sales funnel. For video content creation, we will look at three broad stages of the sales funnel: awareness, consideration, and decision and action. At the top of the funnel, people need to know who you are and what you do. This kind of content can be similar to traditional television ads, or it can be more creative and unusual – its purpose is to make your brand more visible to the public. 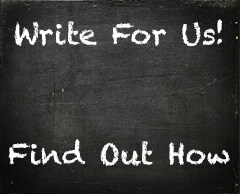 Tell visitors why they need your product or service and what distinguishes it from the plethora available in the market. Audiences love videos that answer questions, are funny and engaging, and show your business cares about customers. This kind of content works well on YouTube and similar sites. Seattle Coffee Gear has built an extensive YouTube following with their how-to videos on making different coffee and espresso drinks. Their video descriptions and content then direct users to their website, where they can learn more about coffee products and processes and make purchases. As visitors move into the consideration stage of the sales funnel, focus on directing them to your site where it is easier for them to take action. Awareness video can also be displayed on the homepage or landing page, like in this example from TransUnion’s new ShareAble for Hires. Here, they have a simple video that gives an overview of their service directly on their homepage so visitors can absorb this information easily. For more ideas on content for the awareness stage, check out this resource from Skeleton Productions. If a visitor converts into a lead through your awareness content, provide more detailed information about your product or service. This can include products reviews or comparisons, step-by-step videos for how a product or service works, or testimonials from satisfied customers. 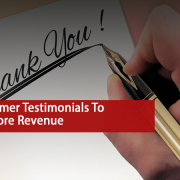 For example, Renovate America creates videos that feature customers talking about their experience with their services. This lends credibility to the product because it seems more genuine than typical, highly branded content. In this example, the video is hosted by a third-party on the website and shares the page with blog content and images. Customers who reach the decision and action stage already trust your company. Now, focus on providing even more information about your brand that satisfies their curiosity while building customer loyalty. Videos that show behind-the-scenes of the company, such as a process or company culture, or videos that tell the story of the company’s founding are great content for this stage. In this example from BambooHR, the short video highlights the core principles of the company culture – namely, work-life balance – and features their company mascot. While company culture videos are often used as recruitment tools, in this case, it serves a dual purpose: since BambooHR is a workplace-focused product, knowing the company background can influence a prospective customer’s decision to purchase their services. Videos for the decision and action stage are also ideal for placing directly on your site and can serve as blog posts or additions to a resource library. When creating a video for social media platforms, consider how videos are viewed on that platform and adapt your video accordingly. For example, Instagram’s default video setting is muted sound, so don’t rely on audio to convey your message in an Instagram-targeted video. Ideal video settings and content vary across social platforms, so be sure to consider these maximize the effect of your videos on these sites. BufferSocial has a great resource listing considerations for creating video content for different social media sites. Videos for different social platforms, or even YouTube versus your company website, do not have to each be their own production. Consider making one long video and editing shorter versions with different shots, with each version intended for a different platform. This is also a great way to leverage YouTube’s reach to direct more visitors to your site: post a teaser video on YouTube, and direct them to your website for the full version. Finally, the key to any marketing strategy is to test it constantly and adapt where needed. With video content, this can include testing video placement on the page, seeing which social platforms garner the most video views, and measuring views based on video length. When beginning a video marketing project, these tests will be crucial to determining where your resources and efforts should be focused. As video content becomes ever more necessary for digital marketing success, small businesses and startups must learn to navigate the tricky balance of what to create for what visitors and where to place them to maximize their investment. It takes a broad perspective and a willingness to be adaptable, but a successful video marketing strategy is possible even for those with limited resources. Cat Nilsson is a Managing Editor at 365 Business Tips. 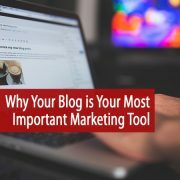 She is an expert in guest blogging for business’ and content marketing. She enjoys writing on a plethora of topics, from SEO to social media.